Tenimenti Angelini, the branch of that Group’s business relating to its agricultural activities in the Marche and its wine production operations in Tuscany, has been transferred to Cav. G.B. Bertani, that thus changed its company name to Bertani Domains srl, whilst maintaining its headquarters at Grezzana (province of Verona). The new Bertani Domains group consists of Cav. G.B. Bertani at Grezzana, Tenuta Novare at Negrar (VR), Puiatti Vigneti at Romans d’Isonzo (GO), Val di Suga at Montalcino (SI), Tre Rose at Montepulciano (SI), San Leonino at Castellina in Chianti (SI) and Collepaglia at Jesi (AN). It owns 500 hectares of land, 350 of which are under vine, in the zones for Amarone, Brunello di Montalcino and Nobile di Montepulciano and there are also 1,000 hectares of agricultural terrain in the Marche. Overall, in 2013, the above companies produced and distributed 3 million bottles for a turnover of 20 million euro. For the wine sector, Bertani is not only a prestigious and historic Veronese producer, but also represents a particular philosophy, an uncompromising style that translates itself into products that reflect wholeheartedly the characteristics of their terroir and the special qualities of their grape varieties. Nonetheless, the independence and distinctive characteristics of the individual producers will remain intact. 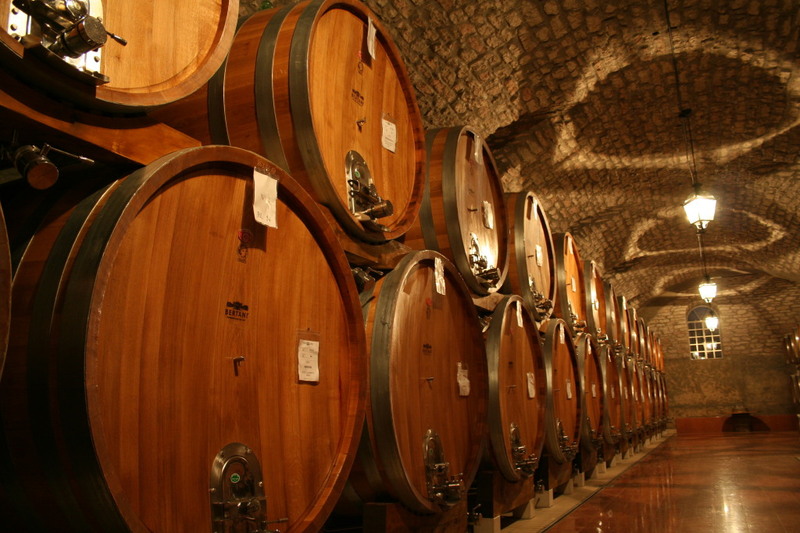 Bertani’s approach to wine production - which, because of its rigorous belief in terroir, is often described as “French-style” - will be combined, therefore, with the know-how and identity of each of the estates.